For many endurance runners and cyclists the push of the last few miles can sometimes elude them. A common story, just when you want to make a sprint finish you find your reserves are gone and the goal seems insurmountable. Many runners pound the pavements clocking up their weekly miles hoping for improvements in muscle efficiency and speed. But there could be a quicker way to get huge improvements and that is with genetically matched training and nutrition. We are in a new and exciting era of genetic research in relation to human performance. Scientists have identified key genes which link to our performance in endurance and power sports. As an endurance athlete it might seem sensible to base all of your training around an endurance protocol. But the science says otherwise. In one study, 86 male and female university athletes took part in a voluntary eight-week training programme utilising free weights. The subjects were allocated classic power or endurance training. Each subject had their DNA tested using a sampling kit (a simple saliva swab) from DNAFit. The athletes were divided into 2 groups with one group being allocated a genetically matched programme and the other group a genetically mismatched programme. Each individual was tested before and after the 8 weeks of training for aerobic fitness and explosive power. Both groups saw improvements in both Power and Endurance but the genetically matched trained athletes saw double the improvements in both Power and Endurance. What does this mean for you as an athlete? It means that by knowing your DNA and undertaking genetically matched training and nutrition you can improve your results fast, by as much as double the results of a genetically mismatched programme. A simple mouth swab of your DNA using a test from DNAFit will tell you your own Personal Power : Endurance ratio. Many individuals have a greater Power Potential than they expect. 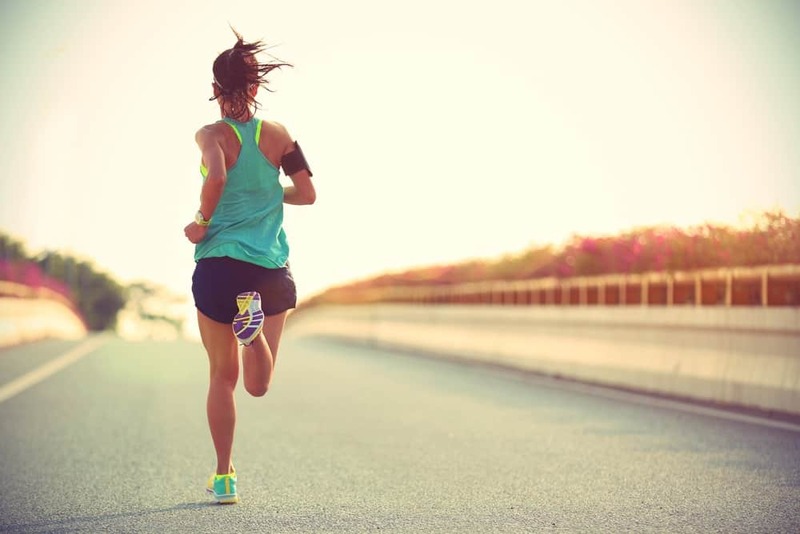 This means that with the right training, nutrition and mindset you can develop that elusive sprint finish often with as little as once or twice weekly short training sessions of 25 minutes or less. And the best part about it? Power Training is fun! It requires very little equipment and can be done inside, outside or even at the park. Ready to run faster, become more powerful and achieve a new PB? Email moc.gnihcaocretsofalegnanull@ofni to get started. Like this, but not sure or want more information? Sign up to our news and tips. And next time you’re training or out running try adding in this workout into your routine and let us know what you think. 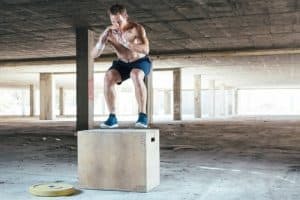 Jump up onto a box landing in a squat position. Push through the feet and jump down. Repeat 10 times ensuring a soft and controlled landing each time. Step your right foot out to the right side and bend into a side lunge. Press down into the right heel, and push off hard with the right foot, landing on your left foot, gently lunging as you do. Repeat 5 times each side. Complete 1 push-up, jump your knees to your hands and jump as high in the air as you can. With your hands out in front, feet hip width apart and a straight back, squat down until your knees are parallel with the floor, hold for 2-3 seconds and return to standing, squeezing your glutes as you go. Repeat 10 times. Assume a plank position and draw the right knee to the left elbow before returning the right foot to the floor and drawing the left knee to the right elbow. Repeat for a total of 30 seconds. At Angela Foster Coaching we take the guesswork out of your training. We provide bio-individual coaching specifically tailored to Your DNA, Your lifestyle and Your personal goals.